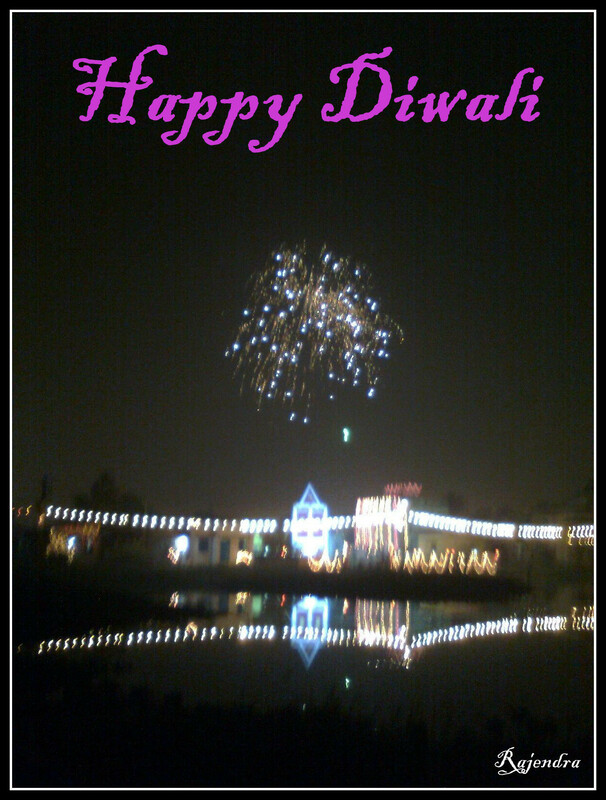 Diwali (দেওয়ালী) or Deepavali (দীপাবলী) - popularly known as the "FESTIVAL OF LIGHTS". This five day festival starts on Dhanteras and ends on Bhatri Dwitya (ভাই ফোঁটা) [Source: Wikipedia]. Each day of Diwali has its own tale, legend and myth to tell. The first day of the festival Naraka Chaturdasi marks the vanquishing of the demon Naraka by Lord Krishna and his wife Satyabhama. Amavasya, the second day of Deepawali, marks the worship of Lakshmi, the goddess of wealth in her most benevolent mood, fulfilling the wishes of her devotees. Amavasya also tells the story of Lord Vishnu, who in his dwarf incarnation vanquished the tyrant Bali, and banished him to hell. Bali was allowed to return to earth once a year, to light millions of lamps to dispel the darkness and ignorance, and spread the radiance of love and wisdom. It is on the third day of Deepawali — Kartika Shudda Padyami that Bali steps out of hell and rules the earth according to the boon given by Lord Vishnu. The fourth day is referred to as Yama Dvitiya (also called Bhai Dooj) and on this day sisters invite their brothers to their homes. The Goddess Lakshmi, the Goddess of wealth and prosperity, is also worshiped on this Diwali. On this day the Goddess Lakshmi incarnated during the great churning of the oceans, Samudra Manthan. This festival is celebrated in West Bengal as 'Kali Puja'.